Over the years, I have had the opportunity to mentor personnel who desired to move into leadership or supervisory roles. There are different aspects and styles of leadership, and a Google search of the word located 337 million results, way more than could be considered for this article. Officers and professional staff seeking supervisory or more sophisticated leadership roles in police work have often asked me where they should focus their efforts. I have always told them, “LESS is more” — not in the sense of minimal supervision, but in terms of the approach I call LESS, an acronym I have coined for the ease of my own memory. LESS stands for liability, ethics, safety and service. The LESS model addresses the critical areas that need to be focused on for law enforcement supervision and leadership. There is no order to these, and they can shift in their importance based on the topic at hand. All LESS categories are important supervisory and gatekeeper functions, but some are more important and become a more immediate priority based on the particular situation a police supervisor is facing. The components are also interconnected, as you will see. 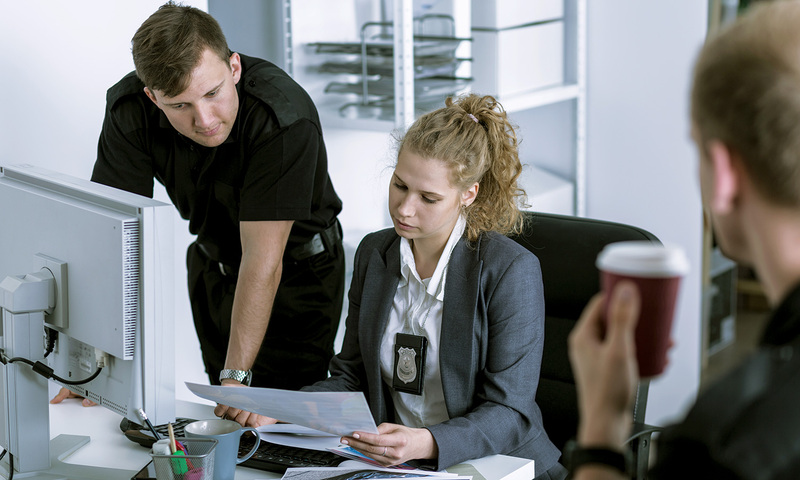 The LESS model can be applied to any law enforcement function or setting, but this article is geared toward leaders and supervisors in a patrol setting. Liability reduction and risk management are the boundaries a supervisor must constantly be thinking about, on everything from the pre-planning of an operation (e.g., a search warrant) to supervising the “here and now” (e.g., a pursuit) and the everyday functions and overall liability inherent to risk management. Without this at the forefront, our decisions (or lack of decisions) as supervisors could be costly to our agencies for years to come, cause permanent harm, generate the next viral video or result in loss of public trust. Ethics are the most important trait we bring to the table as law enforcement professionals. Without ethics, their values and virtues, the public cannot have trust in us — and, frankly, we cannot have trust in each other. As a police supervisor, you are on the front line of instilling and reinforcing ethics, which, of course, begins with being the example. As supervisors, we are the ones reading reports after having been at the scenes or reviewing any body-worn camera videos. We are the ones who can ascertain if an accurate picture was painted in the written description. We are also the ones in a unique position to identify any training and policy issues that need to be addressed or updated. In addition, we are the ones fielding the calls from an officer or member of the public after a unique situation requires a supervisor’s perspective or decision. Thus, we are the ones who have the ability to take (or prevent) action based on ethical decision making. I have told subordinates that I will take a bullet for them, but I will not lie for them. As we all know, the “cover-up” is always worse than the act. The public understands that we do not get it right every time, but they also expect us to be transparent and to take measures to ensure that those same mistakes do not continue to happen. Safety is, of course, a paramount concern for police supervision and leadership: not only officer safety, but also public safety, and that includes the safety of a suspect. As police supervisors, we owe it to all parties to ensure there is a fine balance by being the watchdogs of safety, which directly ties into the other LESS model components. As leaders, we are the overseers for the safety of all parties (more about this later in the article). As I have told my officers and detectives over the years, I owe it to them — and, more importantly, to their families and loved ones — to get them home safely after each shift. When we as supervisors say “no” to the officers/deputies doing something (e.g., a high-risk operation without adequate planning, continuing a hazardous pursuit, etc. ), it is about our obligation to them, their families and loved ones as well as to our community as a whole. Service is another principle in the LESS model. We are the monitors ensuring that good customer service is being provided — everything from the service delivered to a single reporting party (RP) to service for your community as a whole (e.g., decisions being made about pending calls, when they are handled and how they are dispositioned). We supervisors are the ones who do (or can) randomly pull call-for-service (CFS) data and reach out to RPs after the fact to see how their experience was with members of our agency. We also have the flexibility to show up on a radio call unannounced to ensure that it is being handled within agency guidelines and policy. Showing up on a routine report call is a way to constructively observe an officer in the field. It also serves as an opportunity to reach out to the RP and ensure they are getting the service needed, along the way affording an opportunity to receive any commendations the RP may have for the officer. Officers expect to see or hear from a supervisor on an urgent or emergency call, but they rarely expect you to show up on the two-day-old burglary investigation. Taking the LESS model into account empowers your subordinates to make a good decision from the start, and merely advise you of it. As supervisors, if we agree it falls within the parameters of LESS, we can give the “top cover” needed based on the “LESS is more” model, which hopefully our subordinates initially considered themselves. When these calls come in, I ask: What was the tenor and tone of the notification or question by an officer? Was it “What should I do?” or “This is what I plan to do”? Were the officers/deputies empowered to make the decision themselves, and was that decision within the LESS principles? While empowering officers/deputies to begin their own leadership journey, teach them the LESS model so they can include that in their daily decision making. Some examples of how the LESS model categories intersect are as follows: An ethical officer who provides excellent customer service is no good to the agency if they are dead or injured due to poor officer safety. Likewise, a safe and ethical officer is no good to the agency if they create situations exposing the agency to liability, especially if it was our negligence as supervisors not overseeing the radio call, investigation, etc. An ethical, safe, legally sound decision-making officer is no good to the community if they provide poor customer service and alienate the public in the process. It is our job as leaders and supervisors to ensure “LESS is more” by developing and maintaining officers who are both professional and proficient in all aspects of their career. In closing, when performing your daily leadership functions at your respective agencies, remember, “LESS is more” in police supervision. Matt Smith has been a peace officer since 1997, including being an FTO, academy training officer, detective, patrol sergeant, and investigative sergeant at the Chula Vista (California) Police Department. He can be reached at msmith@chulavistapd.org.